Distilled Spirits Awards (ADSA) were presented in Melbourne on Friday the 23rd of March and we’re more than excited to take home silver and bronze awards on the night! Comment: Big oily spirit, lots of sweet notes, great smoke integration. Stood out from the crowd. Comment: Nice nose with pears and fresh high notes. Each entry is assessed on a blind taste test and its own merit. The awards were led by Sam Bygrave, Editor Australian Bartender Magazine in the role of Head Judge. 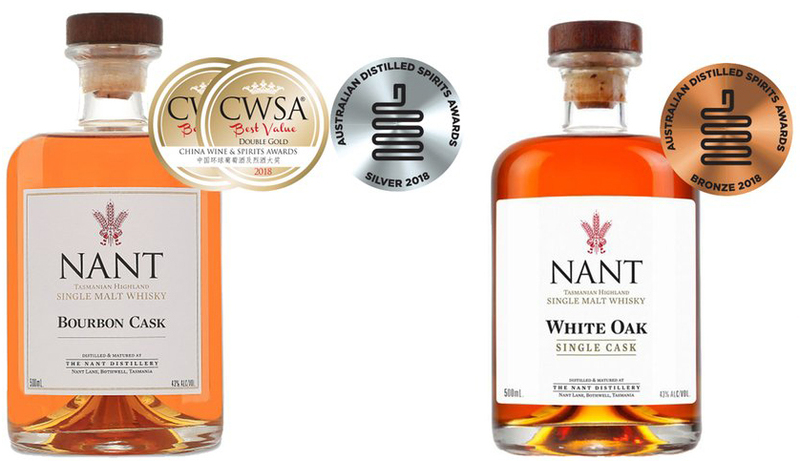 This is our second win for 2018, with the Nant Distilling collected two Double Gold China Wine Spirits Awards (CWSA) for our Single Malt Bourbon 43% and Sherry 43% and a Single Gold CWSA for our Single Malt Port 43%. For more information, or to shop these Award Winning Whiskies click here.